A full-fledged sequel to the 2016's Doom - a well-received reboot of the famous FPS game series. During their adventure, the players have to descend to hell and face new types of opponents using a wide variety of deadly weaponry. 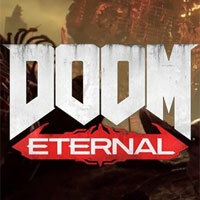 Doom Eternal is a classic first-person shooter and a direct sequel to the 2016's Doom – a well-received reboot of the legendary FPS game series started back in 1993. The game was developed by the seasoned developers at id Software. On their adventure, players can travel between dimensions to eventually visit hell itself and face hundreds of demons having a wide variety of deadly weapons at their disposal. Doom Eternal was announced during Bethesda's conference at E3 2018.